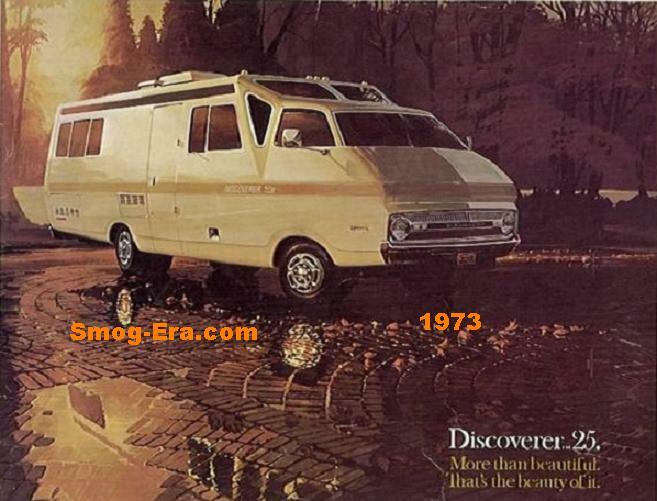 The Jeep Cherokee was a new model for 1974. 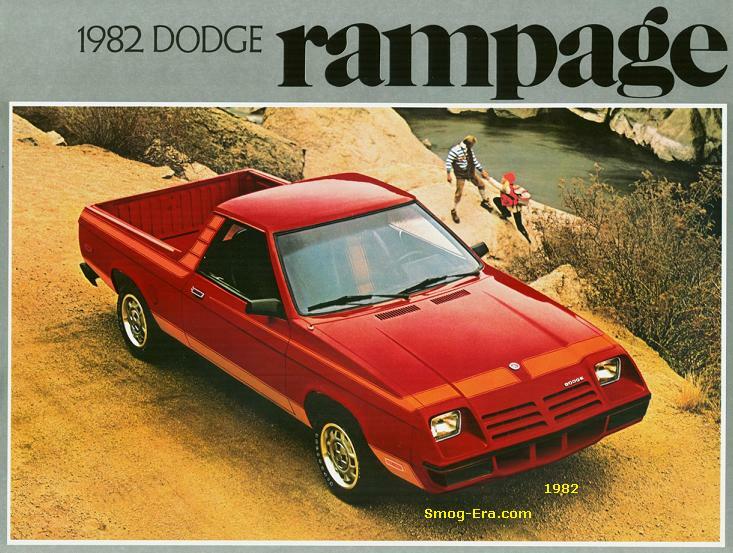 The only body style offered was a 2-door SUV configuration. 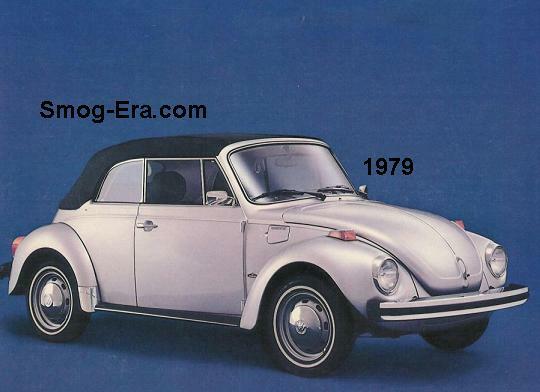 It essentially replaced both the Commando and the 2-door Wagoneer in the lineup. 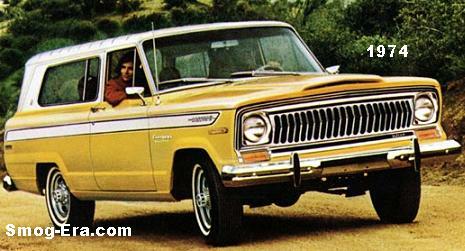 To create some separation, the grillework was a little more modern than that of the Wagoneer. 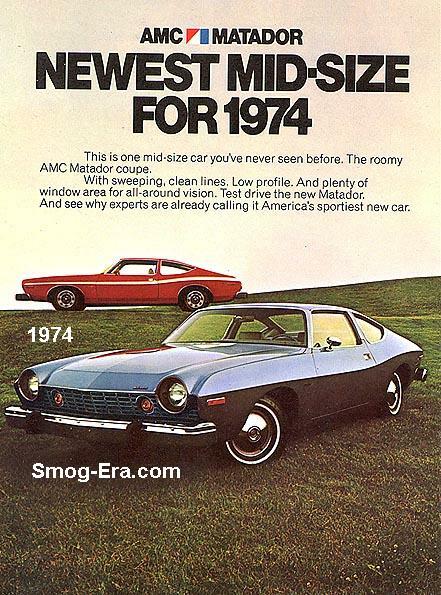 Engines choices were the 258 CID I6, the 360 CID 2bbl V8, the 360 CID 4bbl V8, and the top performing 401 CID 4bbl V8. California trucks automatically received the 360 4bbl as the base engine. These same engines carried over for 1975-1978. 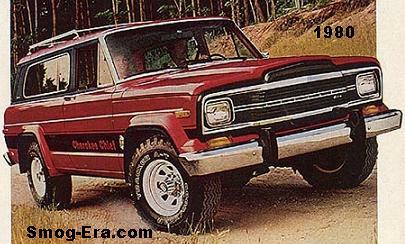 In 1977 a Cherokee with 4-doors was added. This even worked well next to the Wagoneer because that truck already started to move upmarket. 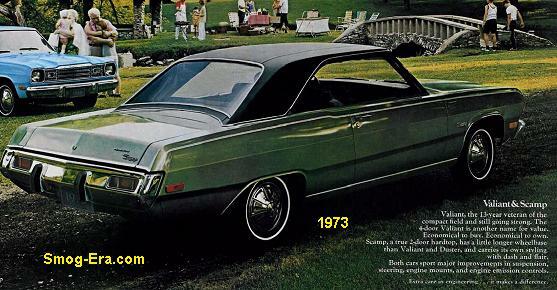 In 1979, the 360 4bbl V8 and 401 V8 were dropped, engine choices narrowed down to the 258 I6 and the 360 2bbl V8 (which was now certified for California use). Ditto for 1980-1983. 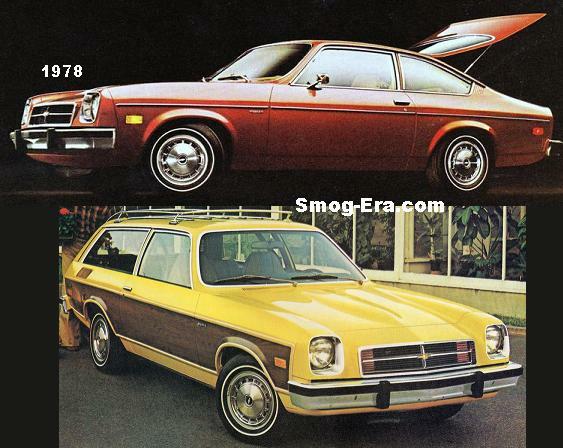 Also in ’79, the nose got an update to rectangular headlamps and horizontal grille. Trim levels through the years were base, Chief, Laredo, and Golden Eagle. The last year of the big Cherokee was 1983, being replaced the following year with the XJ Cherokee.